It wouldn’t be summer without a big Samsung announcement, and now we know when it’s going down The company just sent out invitations out for an Unpacked event at the Barclays Center in Brooklyn on August 9th (as expected) and even by Samsung standards, that’s a pretty massive venue. Then again, Samsung has some pretty dramatic tendencies when it comes to putting on launch events — after all, this is the company that turned a phone launch into a sort of faux-musical. If the invitation is any indication, though, the new Galaxy Note 9 will be the star of the show. 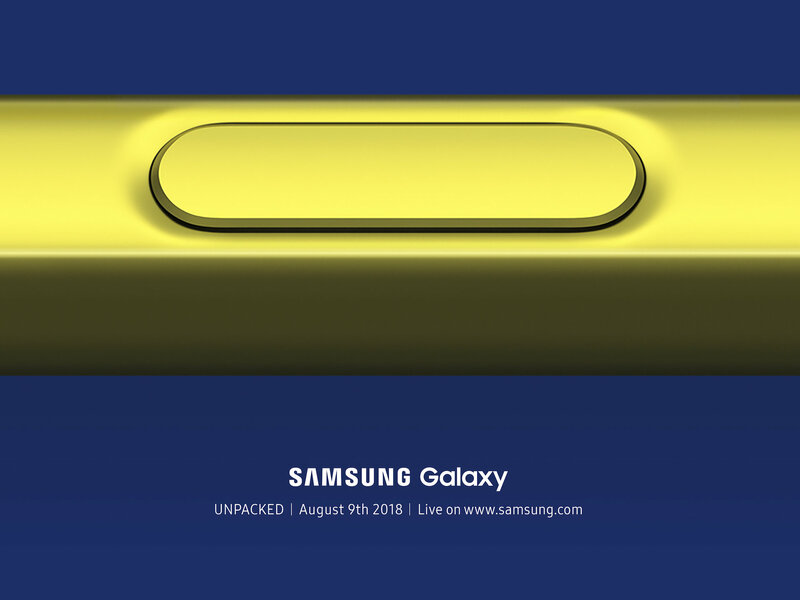 Obviously, Samsung hasn’t specifically said the Note 9 will be revealed in Brooklyn, but consider the evidence. That’s definitely an S Pen in the invite photo, the Note 8 was unveiled at roughly the same time last year, and we’ve heard that the Note 9 just recently passed through the FCC. Let’s just call it a lock. The particulars haven’t fully revealed yet, but by now we have a pretty good sense of what to expect: in addition to the traditional, massive screen, the Note 9 will come bearing one of Qualcomm’s flagship Snapdragon 845 chipsets, an overhauled virtual assistant. The really interesting bit is how closely Samsung’s invitation focuses on the S Pen itself — it’s a very tight shot of the stylus’s button, and could signify that the company is working to expand the ways we use the S Pen. (This just so happens to dovetail with comments recently made by a fairly prominent leaker named Ice Universe.) Curiously, a tablet — likely the new Galaxy Tab S4 — went through the certification process alongside the phone, so we’re likely looking at a very busy morning.